Apps are shifting more logic to the client, which is changing the security landscape. These are exciting times for the web. I know you’ve been asked this plenty of times already, but: no new vendor prefixes, right? Right? Nope, none! They’re great in theory but turns out they fail in practice, so we’re joining Mozilla and the W3C CSS WG and moving away them. There’s a few parts to this. Firstly, we won’t be migrating the existing -webkit- prefixed properties to a -chrome- or -blink- prefix, that’d just make extra work for everyone. Secondly, we inherited some existing properties that are prefixed. Some, like -webkit-transform, are standards track and we work with the CSS WG to move ahead those standards while we fix any remaining issues in our implementation and we’ll unprefix them when they’re ready. Others, like -webkit-box-reflect are not standards track and we’ll bring them to standards bodies or responsibly deprecate these on a case-by-case basis. Lastly, we’re not introducing any new CSS properties behind a prefix. Totes. New stuff will be available to experiment with behind a flag you can turn on in about:flags called “Experimental Web Platform Features”. When the feature is ready, it’ll graduate to Canary, and then follow its ~12 week path down through Dev Channel, Beta to all users at Stable. The Blink prefix policy is documented and, in fact, WebKit just nailed down their prefix policy going forward. If you’re really into prefix drama (and who isn’t!) Chris Wilson and I discussed this a lot more on the Web Ahead podcast [37:20]. How long before we can try Blink out in Chrome? Blink’s been in Chrome Canary as of the day we announced it. The codebase was 99.9% the same when Blink launched, so no need to rush out and check everything. All your sites should be pretty much the same. While the internals are apt to be fairly different, will there be any radical changes to the rendering side of things in the near future? Nothing too alarming, layout and CSS stuff is all staying the same. Grid layout is still in development, though, and our Windows text rendering has been getting a new backend that we can hook up soon, greatly boosting the quality of webfont rendering there. Will features added to Blink be contributed back to the WebKit project? Short term; long term? Since Blink launched there’s been a few patches that have been landed in both Blink and WebKit, though this is expected to decline in the long-term, as the code bases will diverge. When are we likely to start seeing Blink-powered versions of Chrome on Android? Is it even possible on iOS, or is iOS Chrome still stuck with a Safari webview due to Apple’s policies? Blink is now in the Chrome Beta for Android. Chrome for iOS, due to platform limitations, is based on the WebKit-based WebView that’s provided by iOS. Part of this move seems to be giving Google the freedom to remove old or disused features that have been collecting dust in WebKit for ages. There must be a few things high on that list—what are some of those things, and how can we be certain their removal won’t lead to the occasional broken website? A few old ’n crusty things that we’re looking at removing: the isindex attribute, RangeException, and XMLHttpRequestException. Old things that have little use in the wild and just haven’t gotten a spring cleaning from the web platform for ages. Blink also has over 32,000 tests in its test suite, and manual confirmation that over 100 sites work great before every release ships. And we’re working closely with the W3C and Adobe to share tests and testing infrastructure across browsers, with the goals of reducing maintenance burden, improving interoperability, and increasing test coverage. Eventually we’d like all new features to ship with shared conformance tests, ensuring interoperability even as we add cutting-edge stuff. Will Opera be using the Chromium version of Blink wholesale, as far as you know? Are we likely to see some divergence between Opera and Chrome? Why the name “Blink,” anyway? By Dominique Hazaël-Massieux: People used to stare at me and laugh, back in 2005 when W3C launched its Mobile Web Initiative to advocate the importance of the web to the mobile world. Now I am the one smiling much of the time, as I did most recently during the 2013 edition of the Mobile World Congress (MWC) in Barcelona, one of the largest events to focus on mobile devices and networks. This year W3C had a huge HTML5 logo splashed across its booth to emphasize the impact of the Open Web Platform across industries and devices. But the real adoption story was told by the HTML5 logos prominent at many, many other booths. The web has gained real visibility on mobile, and we should all be smiling because we are all getting closer to a platform for reaching more people on more devices at lower cost. MWC 2013 also confirmed that HTML5 has broken out of the browser. 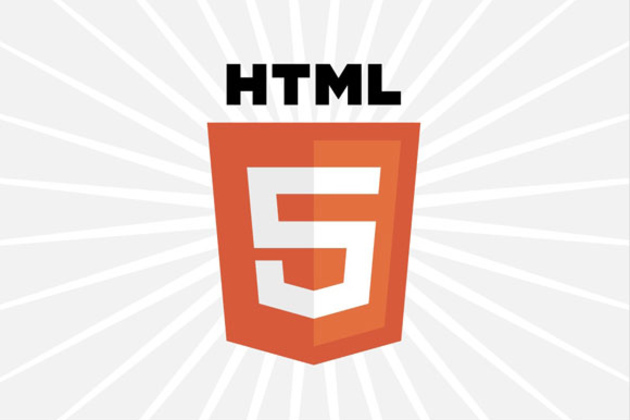 We are seeing more and more HTML5-based development platforms, such as PhoneGap, Windows 8, Blackberry, and Tizen. Mozilla’s big announcement at MWC 2013 centered on FirefoxOS, Mozilla’s mobile operating system entirely based on web technologies. W3C and Intel partnered to create a T-shirt that says “I See HTML5 Everywhere.” And indeed, I do. Not only has the web a big role to play on mobile, mobile has also a key role to play for the web. As more and more of our connected interactions start or end on mobile devices, we must ensure that the web platform adapts to our mobile lives. I believe this is critical for the future of the web. For many years W3C has designed technology to make the experience of web users on mobile ever more rich, adapted, and integrated. For example, CSS media queries provide the basis for responsive web design. There is already a lot for mobile, and a lot more is coming. To help people follow all the activity, every quarter I publish an overview of web technologies that are most relevant to mobile. These technologies are the tools designers can rely on to build the user experience they need. But technologies are only a small piece of the puzzle when it comes to making the web user experience work on mobile devices. The number of A List Apart articles about mobile development provides a clear sign that this challenge is driving creativity in the design community. Responsive web design, mobile first, future friendly, and just-in-time interactions are some of the trends that have resonated with me over the years. The creativity is fantastic, but we still want our lives to be easier. Where web technologies do not yet provide the hooks you need to practice your craft, please let us know. Feel free to write me directly: dom@w3.org. Another challenge that we, the web community, face on mobile is the amazing energy devoted to native development. The web has displaced a lot of the native software development on traditional computers; on mobile, the reverse trend has happened. Content that users had enjoyed on the web for years started to migrate to native applications: newspapers, social networking, media sharing, government services, to name a few. And to add insult to injury, a number of these content providers are pushing their users away from their website toward their native application, with obtrusive banners or pop-ups. It is unclear where the world is going on mobile: some statistics and reports show a strong push toward moving back to the web (e.g., the recent Kendo UI survey), while others argue the opposite. What is clear to me, though, is that we cannot afford to let mobile become a native-entrenched ecosystem. What has made the web unique and popular in so many hearts is not the technology (some great, some terrible) nor even the ubiquity (since interoperability can reduce it). I believe the much more fundamental importance of the web comes from its structural openness: anyone can publish the content they see fit and anyone can participate in defining the future of the web as a platform. Native ecosystems on mobile have historically been very closed ecosystems, under the control of single commercial entities. A world where the majority of our information and infrastructure would be trapped inside these ecosystems is not something we should accept lightly. Mind you, I appreciate the innovations spawned by these platforms, but we need to encourage the cycle where innovations become standards, and those standards prime the platform for the next innovations. Of course the best way to shift the balance to the web is to make the web the best platform for mobile. Achieving this will require ideas and energy from many people, and web developers and designers play a critical role in shaping the next generation of web user experiences. I am leading a focused effort in W3C to assess what we can and should do to make the web more competitive on mobile, and welcome feedback and ideas on what the missing pieces in the puzzle are. I believe a key part in making the web the “king of mobile” is to realize that mobile devices are a means to an end. In our connected world—computers, phones, tablets, TVs, cars, glasses, watches, refrigerators, lightbulbs, sensors and more to come—mobile phones will most likely remain the hub for while. The only platform that can realistically be made available on all these devices is the web. We have a unique opportunity to make the Open Web Platform a success. I realize getting it right will not be trivial. Building user experiences that scale from mobile (or watches!) to TV is complex. Building user experiences that adapt to these very different type of interactions will be hard. Matching the needs from users in a growing diversity of contexts will make us cringe. Creating user experiences that abolish the devices barrier (as I explored some months ago) is guaranteed to create more than a few headaches. But there is unprecedented momentum to create an open platform for the planet. And that has me smiling a lot. Many of us care deeply about developing our craft. But staying up to date can be a true challenge, because the quantity of fresh information we’re regularly exposed to can be a lot to take in. 2012 has been no exception, with a wealth of evolution and refinement going on in the front end. Great strides have been made in how we approach workflow, use abstractions, appreciate code quality and tackle the measurement and betterment of performance. If you’ve been busy and haven’t had time to catch up on the latest developments in these areas, don’t worry. With the holiday season upon us and a little more time on our hands, I thought it would be useful to share a carefully curated list of the most relevant front-end talks I’ve found helpful this year. You certainly don’t have to read through them all, but the advice shared in them will equip you with the knowledge needed to go into the new year as a better front-end engineer. Part of continually developing your craft is staying up to date. Doing this is important for all professionals, and in this talk you’ll learn strategies for staying updated even when the ideas that surround the technologies we use are constantly evolving. This has greatly changed over the past few years, with improvements in workflow and tooling. Front-end development is now taken more seriously, and this talk sheds light on the new baseline process for developing on the front end. Some would say that the browser is the most volatile development platform the world has ever known. If you’re a client-side developer, understanding how browser internals work can help you both make better decisions and appreciate the justifications behind many development best practices. In one of the best talks this year, David Mosher takes you through how browsers parse and render your pages. The Web is constantly evolving, and keeping up with what’s new on the platform can be hard. HTML5’s new capabilities enable us to build an entirely new suite of applications with features that were simply impossible to achieve before (at least, not without the use of plugins) but are now a reality. In this talk, my teammate Eric guides you through the bleeding edge of HTML5, focusing on solving many real-world problems. You’ll learn about media streaming, device input, modern CSS design, media capture, file I/O and more. In this talk, you’ll get an overview of the current tooling eco-system for the front-end and learn about a new tool that tries to bring together all of the pieces of this eco-system for you, called Yeoman. An extended version of this talk is also available. A lot is expected from today’s Web designers. If this role defines what you do, then it’s now not just about visual design, but increasingly about building interactions. Designs need to work across different devices of varying shapes, sizes and connections, and they also need to be accessible. As a designer, you often need to communicate and share code across teams and be familiar with many different technologies. In this talk, Chris Coyier discusses many of the amazing tools that can help things along, discussing what does what and giving a high-level view of a modern workflow. Building for the mobile Web requires a different mindset to the one we use when developing for desktop, and a different set of tools. Thankfully, a number of great options are available. From remote debugging to emulation, mobile browsers are offering more and more tools to make our lives easier. In this talk, Pete Le Page takes you through a couple of tools that you can use today to make cross-platform mobile Web development easier, and then he peers into the crystal ball to see what tools the future may bring. Google Chrome Developer Tools provide powerful ways to understand, debug and profile Web applications. Most developers are familiar with Chrome’s basic inspection and debugging tools, but some of its most valuable features, like the Timeline and memory analysis tools, are less known. In his demo-based walkthrough, Patrick Dubroy provides an overview of Chrome Developer Tools and an in-depth demonstration of some lesser-known features. In this talk, Peter looks briefly at the state of CSS3: what you can do right now, and what you’ll be able to do in the very near future. He then looks into the long-term future, to a time when CSS3 will make possible page layouts far richer and more dynamic than we’d thought possible, and when CSS3 has taken on aspects of programming languages. This is effectively what CSS developers will be learning years from now. Web components are going to fundamentally change the way we think, build and consume Web apps. ShadowDOM, Mutation Observers, custom elements, MDV, Object.observe(), CSS — how do they all fit together? This talk prepares you for the future of the Web platform by discussing the fundamentals of Web components and how we can use them today with frameworks such as AngularJS. This talk dives into some of the latest CSS implementations and specifications floating around. You’ll learn what’s here and what’s around the corner, and you’ll gain insight into why these new features will change our development workflow. Darcy Clarke touches on modules such as paged-media, multi-columns, flex-box, filters, regions, box-sizing, masking and 3D. We all think that CSS is easy. Take some selectors, add some properties, maybe a dash of media queries, and — presto! — you have a beautiful website. And yet, as the project changes and the team grows, we see the frustration build, with increasingly complex selectors and overuse of !important. In this talk, Jonathan looks at common problems and solutions that will make your CSS (and your projects) easier to manage and easier to scale. If you haven’t jumped on the pre-processor train this year, you’re missing out. In this helpful overview of (current) popular pre-processors, Bermon Painter takes you through Stylus, LESS and Sass, with features subdivided into easy-to-learn sections of beginner, intermediate and advanced. I’ve been using mixins quite heavily this year, and I simply wouldn’t have been able to if it weren’t for projects like Sass. Writing maintainable CSS within a team is one of those problems that a lot of people think can be solved by writing CSS in a particular style. But in Kyle’s experience, that never works out. In this talk, he introduces you to his latest creation, KSS. It’s a documentation and style guide format. He’ll show you why he built KSS and how it’s been helping him at GitHub to refactor its four-and-a-half year old CSS, and he’ll give you a glimpse into the future of KSS. Some say that good code is its own documentation, and the fact is that the more readable our code is, the easier it is to maintain. I’ve talked a lot about large-scale development in the past. It’s a non-trivial problem that’s difficult to get right, and so it’s exciting when someone working on such challenges shares their experience. In this talk, you’ll get a tour of how to get the power of tomorrow’s Web platform in today’s Web applications. In this talk, Sebastian takes you through how to spot real-world internationalization problems and how to solve them in the most elegant way. I couldn’t cover internationalization without mentioning Alex Sexton, who has also spoken a great deal on this topic. His JSConf talk on client-side internationalization is available in video form if you’re interested in checking it out. Flickr front-end engineer Stephen Woods shares some hard-learned lessons about building responsive touch-based interfaces using HTML5 and CSS. Because our users are demanding better instant feedback from touch-based UIs, understanding how to approach this problem and avoid the pitfalls will be critical for many application developers in the future. Scrolling effects are a popular way to add personality to the simple act of moving down the page. Unfortunately, these effects don’t work natively on mobile devices, where the touch interaction would make these techniques more effective. In this talk, Mark looks at some ways to implement these effects within the limitations of mobile browsers. One of the toughest decisions every mobile developer faces is choosing a development strategy: “Should I develop a native, HTML5 or hybrid mobile app?” Over the past two years, Eran has led Conduit’s mobile client development efforts, experimenting with cross-platform development in various flavors: from complete HTML5 solutions (using PhoneGap and other technologies) to hybrid solutions to semi-hybrid solutions to fully native solutions. In this talk, Eran shares some real-life experiences in cross-platform development, describing changes that Conduit has implemented along the way, and sharing what some of the “big players” (such as Facebook, LinkedIn and Twitter) are doing in their mobile app development. Simon looks at Facebook’s experience with and investment in the mobile Web, the issues affecting mobile Web developers and what Facebook and the industry are doing to push the mobile Web forward. Mark Zuckerberg’s comments on HTML5 were undoubtedly one of the most discussed topics in mobile this year, and I personally found these slides a good summary of Facebook’s current take on what works and what still requires improvement. Debugging Web apps on mobile devices can be a genuine pain. Luckily, a number of tools are available today to ease the process. From remote debuggers to cross-device consoles, this talk summarizes the current state of debugging for mobile, going into more depth on debugging than Pete’s talk from earlier in the post. Responsive Web design challenges designers to apply a new mindset to their design processes and to the techniques they use in design and coding. This talk (by Smashing Magazine’s own Vitaly Friedman) provides an overview of various practical techniques, tips and tricks that you might want to be aware of when working on a new responsive design project. In the last couple of years, a deluge of new offline storage technologies have appeared. In this talk, Andrew looks at why they are all excellent and rubbish at the same time and why you need to use all of them, and he walks through techniques to consider when building a Web application that can load and function with no network connectivity. But making use of client-side storage is necessary not only in order to make an app that works offline, but it can also hugely improve the experience of your website when the user actually does have connectivity. The browser is an amazing runtime that can already deliver amazing apps. Paul dives into the technologies that will help you deliver Web apps that will blow your users’ socks off now and in the future. Installed native applications can use all the space they want, but in the browser we’re much more limited. This talk explores how to make the best use of the storage technologies available to Web apps, comparing the virtues of different packaging and encoding techniques, and covering simple forms of in-browser compression that can yield surprising results. As more apps are developed to surf over network turbulence, and to work even when completely disconnected from the network, local storage becomes ever more important. The Application Cache is one of the cool bits of HTML5. It allows websites to work without a network connection, and it brings us much closer to native app-like behavior. However, from roundup articles and talks about HTML5, you might be left with the impression that it’s a magic bullet. Unfortunately, it isn’t; the Application Cache is, as Jake famously puts it, a douchebag. In this talk, he looks at how to use the features of Application Cache without the horrible side effects, comparing techniques that you’d use for both a simple client-side app and a large content-driven website. He explores the many gotchas left out of most articles about Application Cache and discusses how to build your website to survive them. Paul dives into the tools available in and outside of the browser to assess the performance of your CSS. Find out what’s slow (is box-shadow causing paints to be 70 milliseconds longer?) and how to fix it. Learn about about:tracing, CSS profiling and speed tracer, and get a better understanding of the browser’s internals in the process. There’s also Jon Rohan’s talk about some problems related to CSS performance that were solved at GitHub. Recommended reading. Building beautiful experiences on the mobile Web takes more than a good designer and fancy CSS: performance is critical for a Web app to feel fluid. Smooth animation that never drops a frame can give your app a native feel. But when animations stutter, effects lag or pages scroll slowly, we call that “jank.” This talk is about identifying jank and getting rid of it. In this comprehensive crash course, Ilya Grigorik shares some really juicy tips on how to make the Web faster, including Google’s findings on what slows down people’s Web experience and how Chrome and other services have improved it. If you’re an engineer looking to improve the performance of your websites or apps, this talk comes highly recommended. Odors exist for a reason, and they are usually trying to tell us something. If our code smells, it might be trying to tell us what is wrong. Does a test case require an abundance of setting up? Maybe the code being tested is doing too much, or it is not isolated enough for the test? Does an object have an abundance of instance variables? Maybe it should be split into multiple objects? Is a view brittle? Maybe it is too tightly coupled to a model, or maybe the logic needs to be abstracted into an object that can be tested? In this talk, Brandon walks through code from projects that he works on every day, looking for smells that indicate problems, understanding why the smells are there, what the smells are trying to tell us, and how to refactor them. A myriad of testing tools and solutions are available, and Adam shows what’s out there and what we as a community need to do next to get the Holy Grail, to ensure a better Web experience for everyone. Tip: One tool for testing that I’m loving at the moment is Testling-CI, which runs browser tests on every push. It’s one thing to write the code that you need to write to get something working; quite another to write the code that you need to write to prove that it works — and to prove that it will continue to work as you refactor and add new features. Time spent thinking about (and developing) your craft is time well spent. The more honed your skills are, the more opportunity you will have to become an efficient engineer. While this list doesn’t cover every excellent talk presented this year, it hopefully offers some direction for you to accentuate your skills. Do consider reading through a few of them. Focused reading in this way will add to your value as a craftsperson and hopefully improve your daily development workflow. With that, do enjoy the holiday season and have a fantastic new year. © Addy Osmani for Smashing Magazine, 2012. Google Chrome: the New Web Platform? snydeq writes "The Chrome dev team is working toward a vision of Web apps that offers a clean break from traditional websites, writes Fatal Exception's Neil McAllister, in response to Google's new Field Guide for Web Applications. 'When you add it up, it starts to look as though, for all the noise Google makes about Web standards, Chrome is moving further and further apart from competing browsers, just by virtue of its technological advantages. In that sense, maybe Chrome isn't just a Web browser; maybe Chrome itself is the platform — or is becoming one.'"